A masterful tranquility radiates from a sleepy herd of elephants. 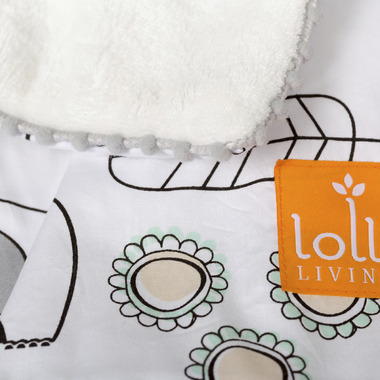 The gentle touch of mint and grey emphasizes the elegant sophistication in this gorgeously pure design. With the morning sun and a winged youngster on their back, Elle the Elephant blissfully strides through flourishing grasslands, ready to take on the day with a smile. 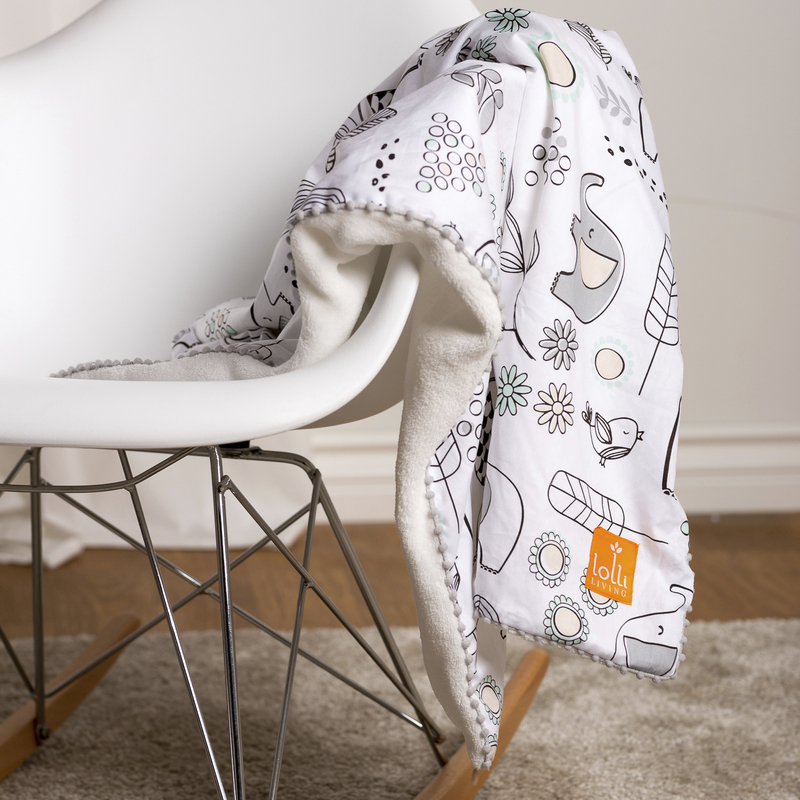 The Lolli Living Stroller Blanket tops off your baby’s stroller ensemble with a little extra warmth. 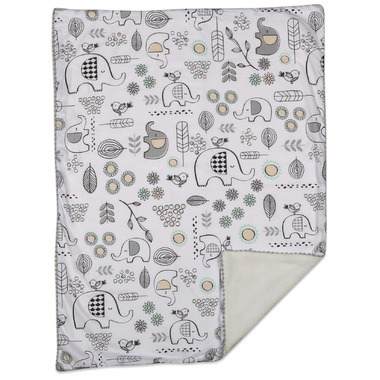 Made of a premium cotton, this blanket features a charming printed design on one side and an ultra-soft plush lining on the other, which means your little one will be riding in comfort and style.